Product prices and availability are accurate as of 2019-04-10 06:55:08 EDT and are subject to change. Any price and availability information displayed on http://www.amazon.com/ at the time of purchase will apply to the purchase of this product. Bamboo cutting board set of 3, chopping, and carving board. The perfect companion for your counter top. 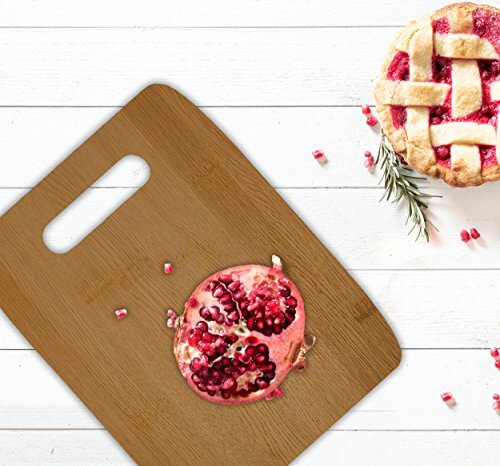 With this cutting boards set you can create your best recipes for indoors, outdoors, barbecues, all starting from this cutting board. 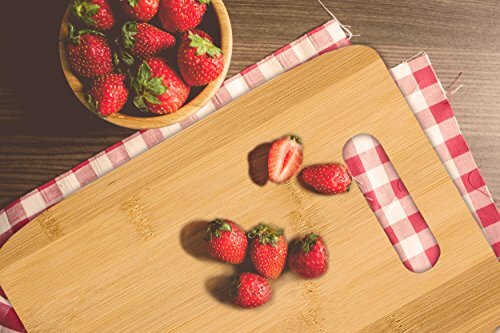 Can be used as a cheese cutting board set, set of cutting boards, set of 3 bamboo cutting boards, butchers block, or to cut lemons, french toast, challah, bait, pizza and more. Bamboo Looks Good and will last for years. 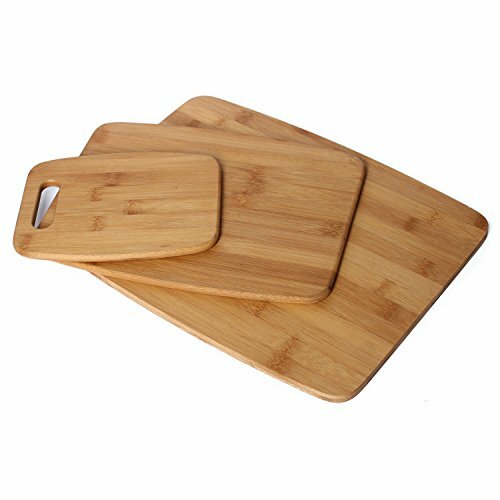 Set of 3 strong, dense and durable cutting boards, Made of Moso bamboo which is known for it's strength, odor-resistant and anti fungal. Only 3/8" thick , easy to maneuver and store. Bamboo prevents bacteria accumulation and food particles - renewable, natural, raised organically and is earth and Eco-friendly. Low maintenance cleaning and easy on knife blades - Hand wash and clean with some hot water and soap then let it air dry. Can endure all sharp knifes and cutlery. 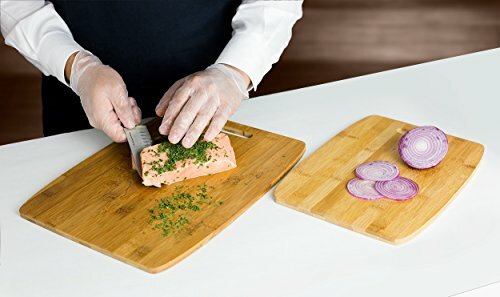 Multi Use - Perfect for every food prep need from chopping veggies to slicing meat to , serve up appetizers or make cocktail garnishes. Set of 3 boards measuring 8 x 6, 12 x 9, 15 x 11.5 inches. 3/8 inches in thickness. Lifetime Warranty from the Manufacturer.